Data miners have discovered some of the upcoming ‘Fortnite’ Battle Pass challenges including a treasure map. Epic Games has officially rolled out season 5 of “Fortnite” as it confirmed some of the previously leaked information about the game. Some of the new cosmetics are now included in the game, though there are still a few that are yet to be released. Other data miners didn’t stop there. They’ve dug deeper into the game files and discovered more interesting stuff that is likely to be introduced in the coming months. Sudanym (@sud4nym) was one of the data miners out there who delved into the “Fortnite” game files as soon as update V5 went live. 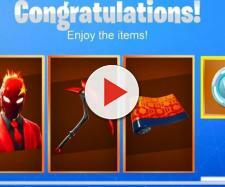 Alongside the nifty cosmetics that were leaked by other leakers, he discovered more upcoming stuff especially the Battle Pass challenges in the game’s battle royale mode. An image of a treasure map was also leaked. 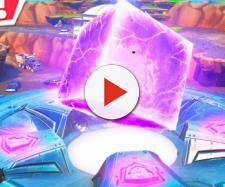 The data miner claims it’s the second map in the game files and it is believed to be part of the second week of challenges. 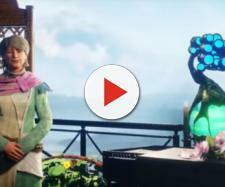 From the looks of it, the map depicts the mountain next to Fatal Fields where the telescope is located. Meanwhile, update V5 has brought in some interesting changes and quality of life improvements in the game. One of them is the auto-fire feature for mobile devices. This enables the weapons to automatically fire at enemies provided that the reticle is over them and they’re in range. Weapon tweaks were also detailed in the patch notes. Per the update, the damage drop-off profile for the Suppressed SMG was nerfed as its so-called fall off will now start at 24 meters from the previous 28 meters. An 80 percent damage reduction will now be in effect at 35 meters from 85 percent at 47.5 meters. Lastly, the damage will now be further reduced to 60 percent at 50+ meters from 75 percent at 70+ meters. Shotguns also received some significant changes in the latest patch. One of them is that players cannot fire the weapon for a “very short time” after firing another shotgun. The heavy shotgun, on the other hand, can now fire 10 pellets instead of five.